Maitland Engineering Ltd was established in 1981. Situated in Otahuhu, Auckland, the workshop employs skilled tradespeople to take on a large variety of engineering projects, including CNC Milling and CNC Turning. We provide high quality, precision engineered products to both the New Zealand and International markets. Our wide varied clients include industries such as: marine, oil exploration, food processing, and many more. Maitland Engineering prides itself on the ability to take a product concept and through careful planning turn it into a viable and cost effective product for our customer. We provide personal advice and friendly service from hands-on expert owners. We have the capacity to manufacture production runs of thousands, but we can also create one-off prototypes. Our machines are well maintained CNC mills and CNC lathes, producing a fast turnaround time, with accuracy and strict adherence to tolerances. Read about our CNC Milling services. 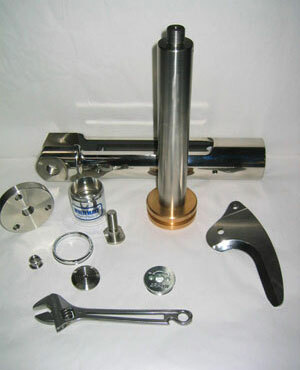 Read about our CNC Turning services.